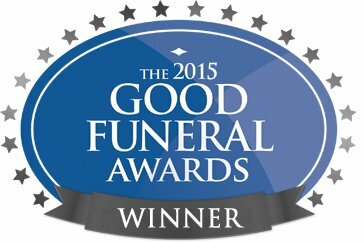 There are many natural and bespoke options available. 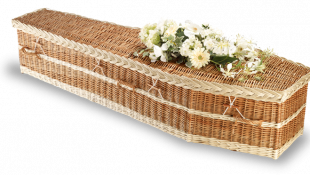 Coffin choices can be discussed during the funeral arrangements. 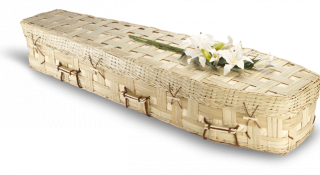 The Pandanus is available in either traditional shaped or round ended. 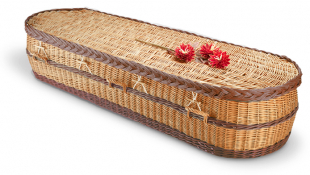 Fitted with toggle fastenings and rope handles. Hover over the image to see the different shaped option. 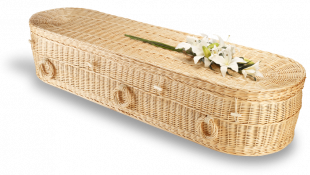 The Willow Highsted is a traditionaly shaped woven willow casket available in natural, white or spray-painted any colour of your choosing. 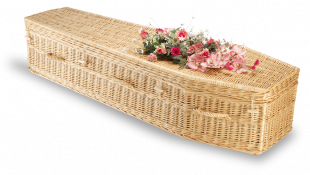 Fitted with willow handles and toggle fastenings. Hover over the image to see the alternate colour options. 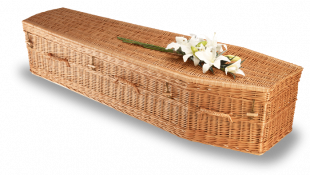 The Bamboo is available in either traditionally shaped or round ended. 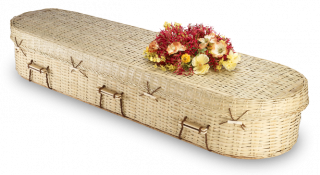 Fitted with bamboo and rope handles and toggle fastenings. Hover over the image to see the alternate shape options. 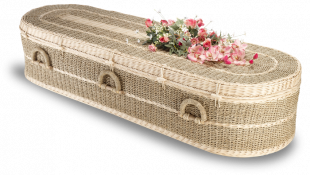 The Willow Cromer is a round ended woven willow casket available in natural, white or spray-painted any colour of your choosing. Fitted with willow ring handles and toggle fastenings. 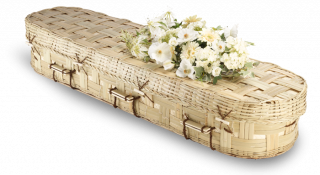 The Bamboo Lattice is a woven lattice style coffin, available in either traditionally shaped or round ended. 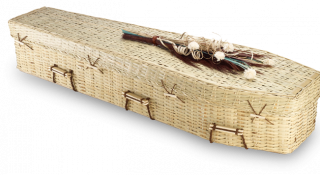 Fitted with bamboo and rope handles and toggle fastenings. 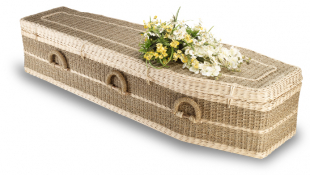 The English Willow Coffin is available as a round ended or traditionally shaped coffin. There are a number of colours and accents to chose from. 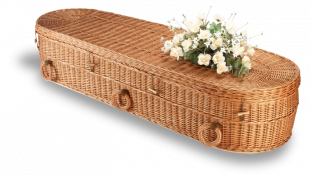 They come fitted with English willow handles and toggle fastenings. Hover over the image to see the alternate colour and shape options.